The Bisexual Index | Main / Welcome to the Index! Main: Welcome to the Index! 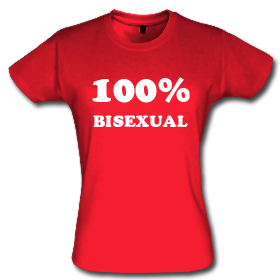 Bisexuality exists. It's real, and it's simple. Since 2009, The Bisexual Index has been here to point this out to people, to highlight biphobia and to direct you to the UK's bisexual community. Maybe you're here because you did a search for "how do you know if you're bisexual"? Is a friend or family member bicurious? Do you want to know where your local bisexual group is? Or maybe you've heard about, or even read, 2012's Bisexuality Report? We hope that you'll find useful information on this website. Across the UK people are working to improve the rights of the LGBT community. Does your organisation want input from the bisexual community? Do you work in the LGBT sector but want to represent bisexuals better? Do you want a UK bisexual speaker for your event? Please contact us - we offer training on bi issues and bi awareness. Bisexuality isn't complicated, or hard to understand, but people's attitudes to bisexuality can be tangled. We're here to cut through that knot. We are the largest Bisexual Organisation on Twitter - are you following us there yet? We post updates on our work, links to bisexual news and retweet a host of other bisexual accounts that you need to read.